Hundreds of people taking part in a vigil have called for the remains of "hundreds of babies" to be exhumed from a site in Co Galway. 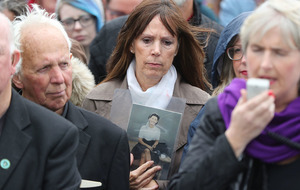 Annette McKay, whose sister vanished from the mother and baby home, said that the children deserve to have a "proper burial". Her mother Maggie O'Connor, from Galway was sent to Bon Secours when she was 17. Ms McKay (64) knew nothing of her oldest sister, Mary Margaret O'Connor, for years. "People are shouting to have this place dug up, it's an obscenity," she said. "We could never imagine there would be a septic tank with almost 800 children in it, never in your wildest nightmares. "I don't know a country that would put 796 babies in a disused sewage tank. 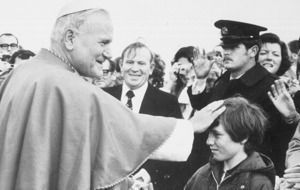 "I look at the Pope (Francis) coming to Ireland and then I hear people talking about the last Pope's visit here in 1979 and how they loved him and the Catholic Church but time and time again I hear about abuse and scandal. 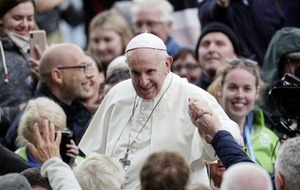 "We are telling the church you must change. 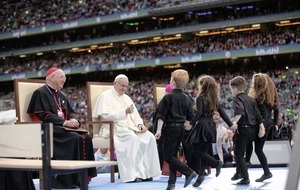 "The Pope and the rest of them should have come here and listened to what the Catholic Church did to 796 children." "Those babies aren't hidden, they are in that septic tank and they need to be given back to their families," she added. In March, a commission of investigation announced it had found "a significant number of human remains" at the site. 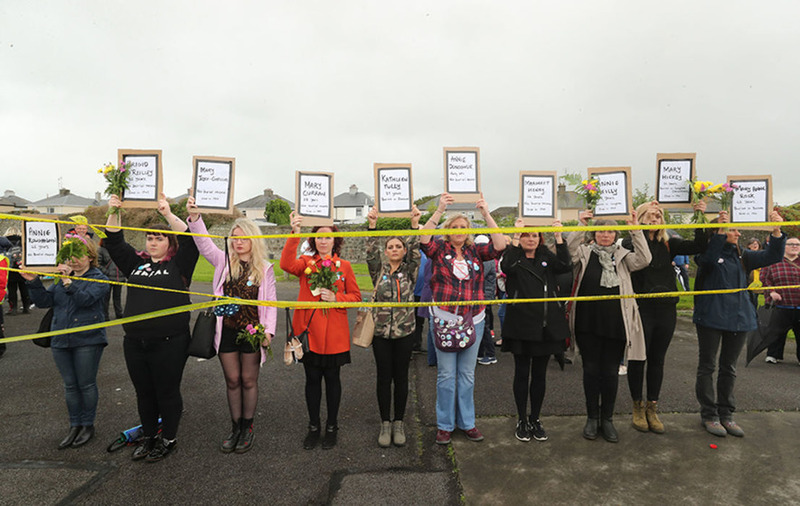 The vigil in Tuam is one of a number of counter-demonstrations taking place during the pontiff's visit to Ireland. 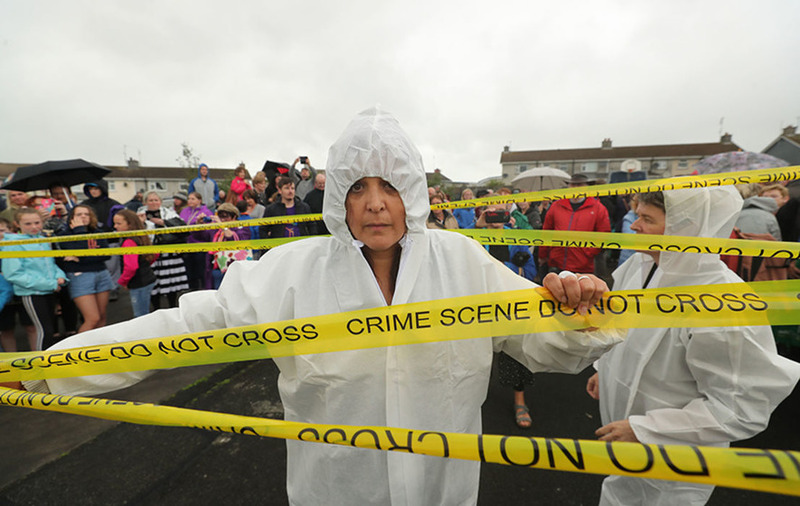 The Republic's Minister for Children Katherine Zappone is expected to make a recommendation on the future of the burial site in Tuam in early autumn. People also recited the children's names and lite candles in their memory while hundreds of baby shoes were placed in a circle on the ground. Ms Corless, who carried a small makeshift coffin to the site, said: "It's important that we give them a funeral to let the babies know we are still here as I believe their spirits are here and they are calling out to us. "They deserve to be exhumed and buried. It was horrible what they did to them." Reacting to the large turnout, she said: "I can't put words to it. "This is to make a statement and it's overwhelming to know there is great support for the Tuam babies. "We will get them out of there and bury them."